that we have installed thousands of pool fences all across the nation. Our headquarters is located in San Diego where we service El Cajon, La Mesa, Encinitas, Oceanside, Del Mar, La Jolla, Carlsbad, Escondido, Mira Mesa, Scripps, Temecula, Orange County and the Inland Empire. We also have dealers across the U.S. to better serve you. This is the most popular and economical pool fencing system on the market today. We are family-owned and operated, and take pride in providing quality pool barriers and peace of mind for thousands of families. Aquaguard Pool Fences are constructed of the highest quality materials to guarantee that you will be able to enjoy your pool fence for years to come. While other pool fences fade and stretch out in the sun, we have taken extra measures to ensure that your pool fence will provide quality performance season after season. We are so certain you will love our swimming pool safety fences that we offer an unmatched Lifetime Warranty against defects in materials and workmanship. At Aquaguard Pool Fences, we are dedicated to providing you with a top-rate experience from the estimate through to the installation of your new swimming pool fence. We take pride in knowing that more than half our current business is from previous customer referrals. We also never sub-contract our pool fencing installations. All of our installers are put through a rigorous training process so that each and every Aquaguard Pool Fence that is installed shows off our work and lives up to our reputation. Check out our customer testimonials page to hear what some of our fencing customers have to say. We offer the best pricing for the highest quality products in the swimming pool fencing industry. 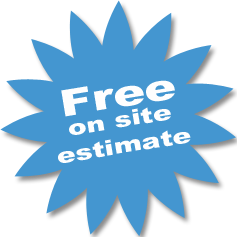 We also do our best to beat any written estimate. It is our goal to offer all of our pool fence customers a combination of the highest quality products, a lifetime warranty and professional installation, all at the lowest prices around. When pool safety counts, you can trust Aquaguard to meet all your pool fencing needs. ® 2013 Aquaguard Pool Fences, Aquaguard is a registered trademark of Aquaguard Pool Fences. All Rights Reserved.